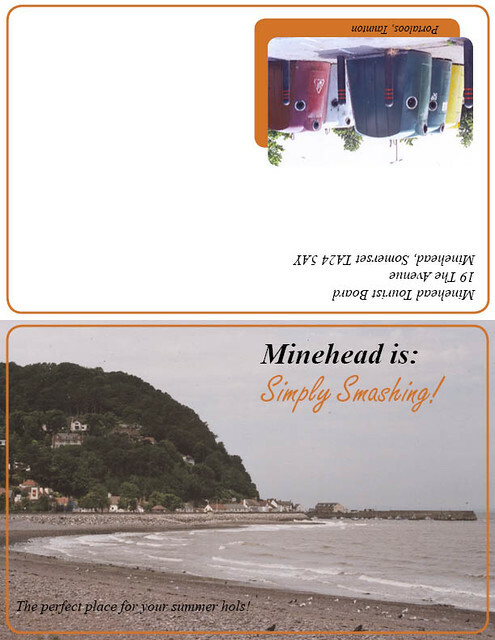 This is a fictitious brochure for the equally fictitious Minehead Tourist Board. For this class assignment we were to create a direct mail flyer for an exotic location. I chose Minehead in Somerset, England which is a pretty little seaside town on the Bristol Channel. I used my own photographs. 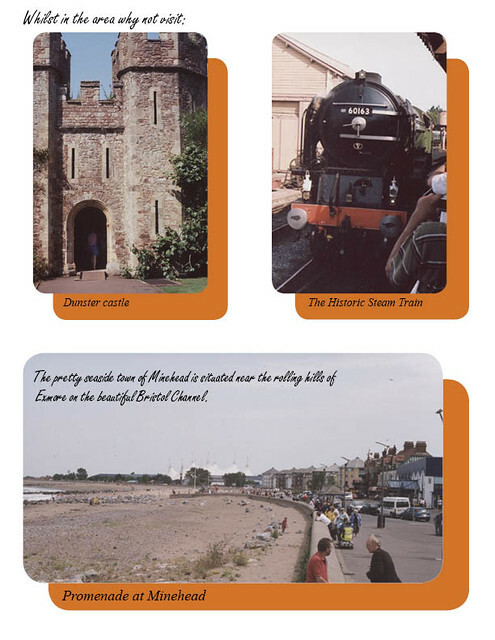 This entry was posted in Graphic Design II and tagged Bristol Channel, Holiday destinations in Somerset, Minehead. Bookmark the permalink.